Are you living your bravest life? In today’s fearful world, living bravely has become indispensable for living well. 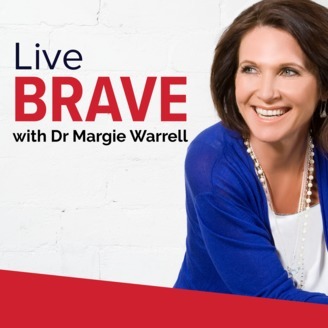 Join best-selling author Margie Warrell as she shares practical wisdom and empowering conversations with world-renowned thought leaders such as Marianne Williamson, Steve Forbes, Sri Sri Ravi Shanker and Tal Ben-Shahar that get to the heart of what holds us back. 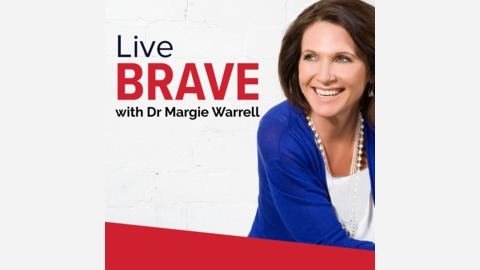 This podcast will inspire you to master fear, reframe failure and find the courage to step fully into your own power to enjoy greater success and fulfillment in your work, relationships and life. Want to be a change maker but too often doubt if you can? Listen, dare, then do. Ending world hunger sounds like an audacious goal, but as Cathy Burke shares in this illuminating interview, it’s entirely possible. As CEO of The Hunger Project in Australia and later Vice President of the Hunger Project globally, she learnt first-hand just how powerful a shift in mindset can be. Cathy’s insights will help you rethink how you are approaching your challenges, beginning with learning to ask the right questions.